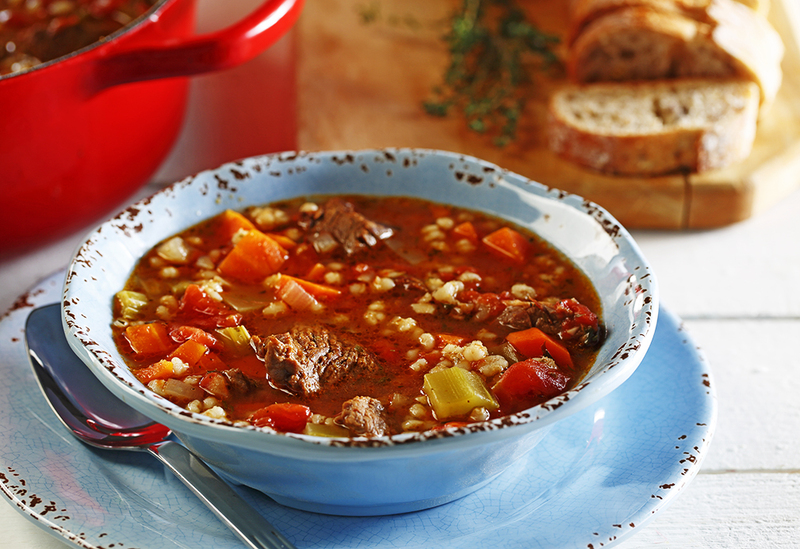 A classic featuring a healthful whole grain: barley! 2. In same pot, add remaining 2 Tbsp (30 mL) canola oil, garlic, and onions. Sauté for about 6–8 minutes. Add carrots and celery and continue to sauté for another 6–8 minutes. Stir in thyme and parsley and cook for an additional 2 minutes. 3. Return beef to pan and add bay leaves, broth, tomatoes, barley, and pepper. Bring to a boil. Cover and simmer for about 40 minutes. Serve. Leftovers keep well in the freezer. 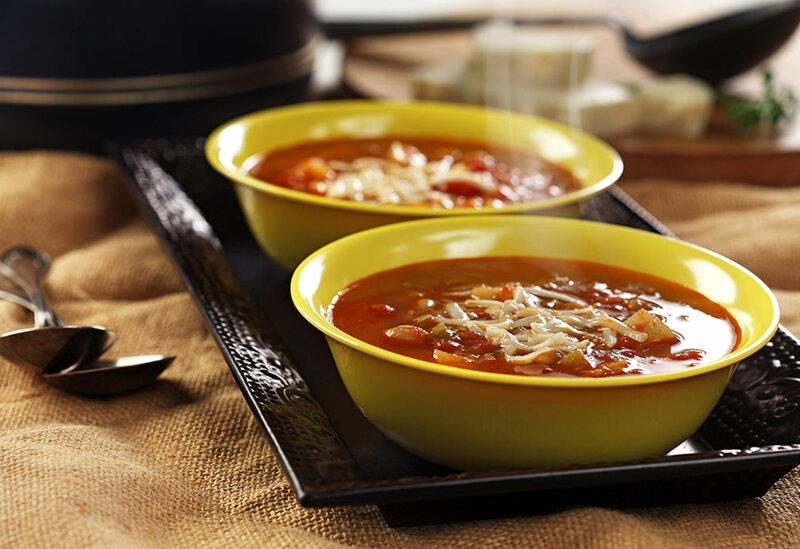 When you need a hearty and filling soup to warm your bones, here's one to try. The combination of jalapeños and pinto beans puts a yummy Latin flavor into this recipe. 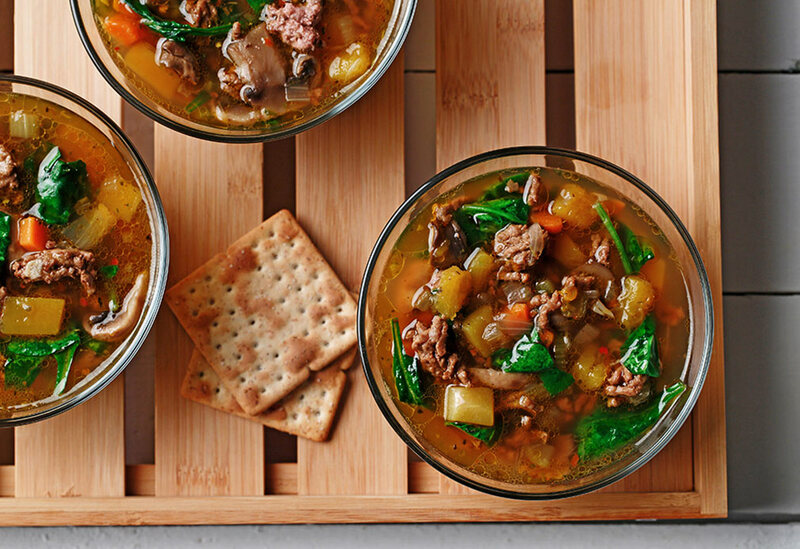 This beef and vegetable stew is a take on a hearty classic. 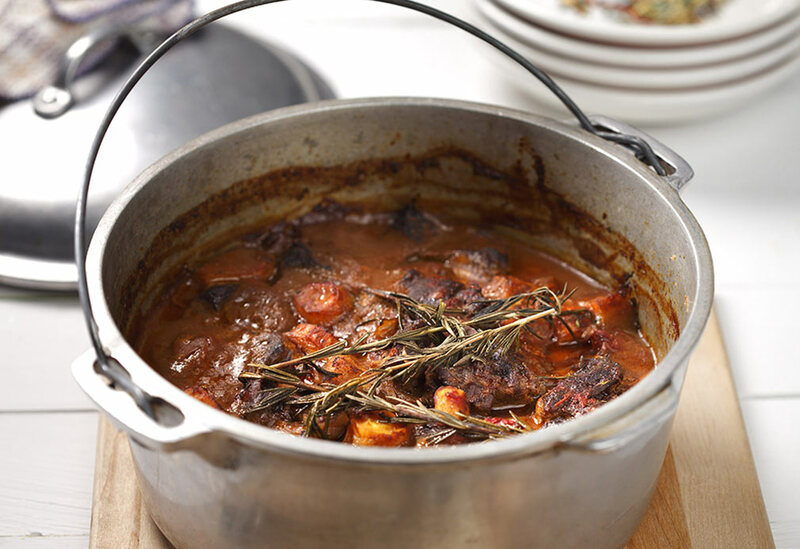 Braising allows the beef and vegetables to reach the perfect tenderness while the tomatoes, red wine and Worcestershire give the dish just the right amount of acidity.